Polly has been working for social change in Alaska for twenty years. She has engaged in all aspects of our work, beginning as a Trailside Discovery Camp educator in 1997, helping teens launch our Alaska Youth for Environmental Action (AYEA) program in 1998, and volunteering on our election campaigns. She returned as our Executive Director in 2013 and has been leading our team in actualizing our vision of a just and sustainable Alaska for future generations. She served as Rural Deputy Director for the 2008 Begich Senate campaign and was a Program Officer for The Alaska Conservation Foundation from 2009-2013. She has been recognized with an Alaska Chamber of Commerce Top 40 Under 40 award, and the Alaska Tribal Conference on Environmental Management Environmental Excellence award. Polly has extensive political, fundraising, education, and community organizing experience and is passionate about working with young people, women, and individuals from diverse cultural backgrounds. She serves on the Advisory Committee for the Municipality of Anchorage Climate Action Plan, volunteers with Alaska Women Ascend to elect progressive women from diverse communities, and as a mother of a spirited eight-year-old daughter, she is becoming engaged with efforts to support our public schools. She loves Sriracha, writing poetry, running uphill, and perusing restaurant menus. Victoria Long-Leather was born and raised in Felixstowe, England. She graduated from Birmingham University with a bachelor’s degree in Law with Criminology. Throughout her studies she had the opportunity to work at a Summer Camp in Minnesota. There, she fell in love with America and grew her passion for outdoor education. Victoria comes from a large family with 3 sisters and 4 brothers and camp became an extension of her family. She strongly believes camp brings community, learning, and play together in a safe environment where children and adults can step out of their comfort zone and be who they want to be. May 2017 Vicki moved to Alaska to step into the Trailside Discovery Director role, since taking on this role Trailside has enhanced its scholarship program, added a new location and streamlined the registration process. Vicki has aspirations to continue to grow the Trailside program and make it accessible to every 4-14 year old in Alaska. .
Grady Jenkins, Jr. has been active in the nonprofit sector for over 40 years, first volunteering with “Stepping Stones” a Program for children with special needs, in Oakland, CA. when he was 12 years old (yes, the 1970’s, bellbottoms and ALL!). Grady eventually graduated from San Francisco State University with a B.A. in Recreation Administration, with an emphasis in working with special populations, after running Project REACH, a Recreation Program that “mainstreams” children with and without developmental disabilities, which is still in existence 32-years later. After moving to Seattle in 1992, Grady worked for 15 years on the Knowledge Management Solutions team at Verizon Wireless, focusing on a variety of financial responsibilities including Reporting and Analysis, Budget development, and Database development, and also in Human Resources, managing all aspects of employee engagement. Grady has also been a member of a variety of Alaskan non-profit organizations, including the Imperial Court of All Alaska and the Four A’s Board of Directors. Grady enjoys traveling, cooking and binge watching television shows, and appreciates the value and uniqueness of living in Alaska. After 12 years in local bar and restaurant management, it was time for “MeMe” to return to his roots, working with nonprofits. Meghan began her career with The Alaska Center at an early age. As an Alaska Youth for Environmental Action member, Meghan worked with the Begich Administration in Anchorage to reduce the use of plastics. From there, Meghan’s interest in politics & the environment flourished. She studied environmental science and political science at Northwestern University in Evanston, IL. After completing her degree, Meghan returned to Alaska where she was an Alaska Conservation Foundation Ted Smith intern with the former Alaska Conservation Alliance and completed the first-ever data-driven membership analysis of Alaska’s conservation movement. After successfully managing a campaign to elect a state house representative, Meghan went to work in Alaska’s State Capitol. Her time in the Alaska Legislature gives her political expertise and comprehensive knowledge of the inner workings of local and state government.Meghan honed her skills in grassroots and field management as regional field director for US Senator Begich’s reelection campaign. Outside of The Alaska Center, Meghan enjoys exploring Alaska’s trails, triathlons, and to no avail, rooting for the Northwestern Wildcats. Louie Flora joined the Alaska Center in 2014 after working for over a decade as a staff and committee aide in the AK Legislature. His policy experience includes fisheries, mineral extraction, clean energy generation and transmission, and local citizen participation in the large project permitting process. Louie resides in Juneau during the Legislative Session, in Bristol Bay during the salmon season, and in Homer the rest of the year. Louie owns and operates a salmon fishing boat in Bristol Bay with his wife and two children. Leah began working as our Digital Organizer in 2017 and now leads our Communications team. In that time she has expanded our digital reach and helped us build brand cohesion across our programs and campaigns. She has been the driving force behind our visual presence. Leah comes to us with a background in journalism, UX design, social justice, and art. 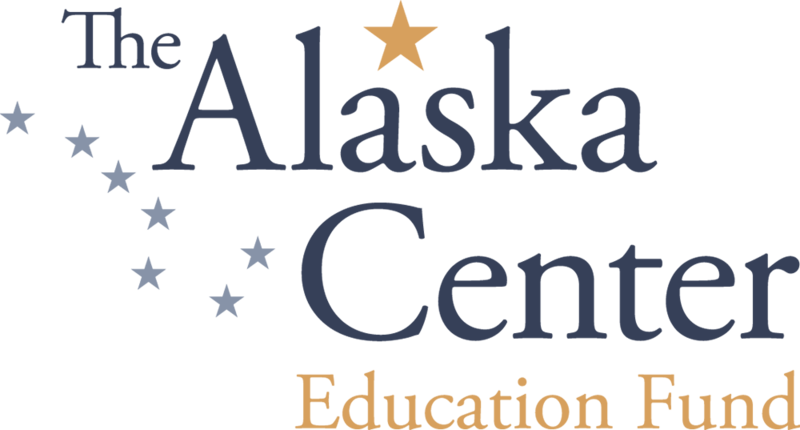 She uses these diverse skills to ensure that The Alaska Center is and continues to be a useful and engaging resource for community partners and Alaskans as a whole. Leah loves working on food security and sustainability issues and volunteers her time with the Alaska Botanical Garden. She is a board member of the Susitna Bicycle Institute and the Anchorage International Film Festival. In her free time, she loves taking photos, foraging, and traveling across our beautiful state with her two perfect dogs. Emily started her career with The Alaska Center as a canvasser in 2016. She has moved through Team Lead and Deputy Canvass Director positions before landing in her current position as the Canvass Director in 2018. Emily has lead the canvass in their efforts to engage Alaskans on a multitude of issues including the proposed Chuitna coal mine, the Susitna dam project, efforts to update fish habitat permitting laws through ballot initiative in 2018 and the ongoing fight against the pebble mine among others. Growing up in Colorado her admiration for wild spaces was established at an early age. She was active in the community, advocating for the preservation of dinosaur bones in the area near her home in the Front Range in grade school and she worked with a non-profit coalition in high school that sought to relocate prairie dog colonies whose habitat was threatened by development. This set her up for her studies in Environmental Science and GIS at the University of Alaska Anchorage. Alaska quickly became her home and she draws her passion for her work from the awe inspiring wild spaces where she enjoys spending her time. Kristen Collins’s journey with The Alaska Center started in 2013 through the Ted Smith Conservation Internship Program. Since then, she has served as a community organizer on various political and advocacy campaigns with candidates as well as with the organization. Now, as The Alaska Center’s Field Manager, Kristen feels honored to support an organizing team in local and statewide campaigns that protect salmon habitat and advance clean energy solutions to climate change. In 2018, she started the successful Solarize Anchorage campaign and continues to manage the program for neighborhoods in the Municipality. Kristen is proud to call Anchorage home and is passionate about community-based change. She has found great joy in working with the larger Anchorage community towards a brighter, cleaner future. Evan began working with The Alaska Center as Digital Organizer in 2015. Their varied background in electoral organizing, issue advocacy, digital communications, and leadership development helped them pilot the organization’s civic engagement program and grow it into a department over the last 2 years with the addition of Youth Civic Engagement Coordinator, Kengo Nagaoka to the team. With a strong belief in the effectiveness of individual conversations in galvanizing action, Evan is committed to working alongside historically underrepresented communities in support of every Alaskans’ voice being heard. They are eager to work with community partners to help grow the culture of non-partisan voter engagement in Alaska, while working to increase our reach and see efforts to make Alaska the most engaged electorate in the country grow to scale. A proud Anchorage urbanist, on the weekends they can often be found on a steep ascent in the Chugach or with a packraft on their back heading for the put-in. Chelsea Farrell started with Trailside Discovery Camp in January of 2019. She graduated from Alaska Pacific University with a Bachelor’s Degree in Psychology after she moved to Alaska from Oahu in 2015. After taking a sustainability course, Chelsea recently worked under a contract for the American Lung Association to found the campaign that converted APU to a smoke and tobacco free campus. She has worked as a community educator for youth since 2015 and is currently the counselor at her university and a member of the AYDC coalition team. Chelsea has a passion for educating youth and loves to spend as much time as possible outdoors- especially during the summer! Chelsea has worked and volunteered at several nonprofits in our community and is excited to bring her energy to Trailside Discovery Camp as the Camp Advisor and Program Manager. In her spare time, Chelsea loves to play rugby and coach youth rugby, spend time with her three boys and her dog. She likes to read and kayak. Margi grew up in Fairbanks, where she developed a strong affinity for the outdoors and environmental conservation. Margi received her undergrad degree in Environmental Studies while enjoying the White Mountains of New Hampshire, and her masters in Education Equity, while exploring the Rocky Mountains of Colorado. But she missed blueberry picking and dipnetting for salmon and has returned home. On most winter days you can find her out on the ski trails with her dogs, and summer months she enjoys romping in the tundra with her partner, especially in the golden light of endless Alaskan evenings. Margi spent the last three years teaching place-based field ecology and outdoor leadership skills on extended wilderness expeditions for 11th-grade students from all over the country. She gives herself entirely to her work and invests deeply in getting to know the youth she works with. Kengo was born and raised in Fairbanks, Alaska. After graduating from the University of Denver with a bachelor’s in International Studies, he moved back to Alaska in July 2018 and joined the Alaska Center team as Youth Civic Engagement Coordinator. As a college student, Kengo was involved in his school’s student-led fossil fuel divestment campaign, where he built skills in campaign strategy and community organizing with the support of the Divestment Student Network. He spent the summer of 2016 as a fellow with the Fairbanks Climate Action Coalition, and soon after decided to return home to join a movement of Alaskans banding together to fight for environmental justice and sustainable communities. Kengo is a graduate of Alaska Youth for Environmental Action and is grateful to be able to work with the next generation of Alaskan leaders across the state. He hopes to equip young Alaskans with connections and skills to be informed voters and effective advocates for their communities. Michael recently returned to Alaska from Washington, D.C. He fell in love with our great state while working for the 2008 Begich Senatorial Race and always hoped to return to Alaska and work for a conservation organization. When a position became available at The Alaska Center, he jumped at the opportunity. Hailing from Colorado originally, Michael graduated from the University of Colorado, Boulder where he studied political science and economics. After college, Michael worked on several political campaigns, filling a variety of roles. In 2008, he moved to Alaska and worked on Mark Begich’s successful Senatorial bid, which led to opportunities in Washington, D.C. While in D.C., Michael worked for Senator Mark Udall, from Colorado and then for several associations, focusing on development and member engagement. Michael enjoys fly-fishing, hiking, backpacking, camping, skiing, biking and generally being outdoors whenever possible. Alyssa has been volunteering with local, statewide, and national organizations and forming those ties to the grassroots communities for over a decade. From that work, she's focused her political and communal outreach to support campaigns in a variety of positions; from Internships to Community Outreach Coordinator. Alyssa graduated from the University of Fairbanks, Alaska, with a degree in Political Science, and now uses her organizing skills and passion to focus on communal advocacy, outreach, education, and empowerment. Since being hired as the Interior Organizer in 2018, Alyssa has expanded her connections and helped support the work of the many diverse communities in and around Fairbanks. When she's not working, Alyssa can be found showcasing in a First Friday, playing music with her friends, or having some quiet time with the cutest dog in existence. Adrian joined The Alaska Center in July of 2018 as the Mat-Su Organizer. He grew up in the Mat-Su Valley and learned to appreciate the outdoors through hiking, fishing, hunting, and camping. Adrian received his undergraduate degree in Geography: Environmental Studies from the University of Alaska Fairbanks and worked for the Alaska Department of Fish and Game for twelve years studying salmon throughout the state. He then worked for two years studying salmon with the Chickaloon Village Traditional Council before jumping on The Alaska Center team. Adrian was deeply involved with the Yes for Salmon campaign, and will continue to work for the additional protections of salmon habitat and clean air in the valley with the help of his volunteer team and community. Carla began working as our office administrator in March of 2018. She brings a broad range of work experiences that include restaurant and hospitality management, sales, medical and architectural administrator. Her passion for volunteering includes innovating charity and community events. More recently, her family’s journey has included living in or near several National Parks: Acadia, Yosemite, Grand Tetons, Yellowstone, and Denali. This has been a joyful chapter. She feels fortunate to have experienced these incredible windows of nature. Working at The Alaska Center has intersected her love of nature with a greater purpose. Carla feels that saving our environment is critical to the survival of this beautiful frontier. She is working toward creating an organized and communal workspace where everyone feels comfortable and productive. Kyla started volunteering with The Alaska Center in 2015, as a member of the organization’s Volunteer Leadership Committee. Working alongside community organizers, she helped fight The Pebble Mine, The Chuitna Mine, and impact State and local elections. In 2016, she became the Deputy Canvass Director and has knocked on thousands of doors all across the State. She is passionate about giving Alaskan’s a voice and has spent countless hours talking to community members about the issues they care about. Kyla has now transitioned into the role of Digital Organizer. In this role she engages supporters through email, social media, digital ads, mobile platforms, websites and other online mediums. Kyla is a lifelong Alaskan and UAA alum, having graduated in 2017 with a Legal Studies Degree. When she isn’t scrolling through social media, she enjoys fishing, hiking, and solving puzzles.